Successfully saved Granola Cookies to your Calendar. You can also save the ingredients to your Grocery List. 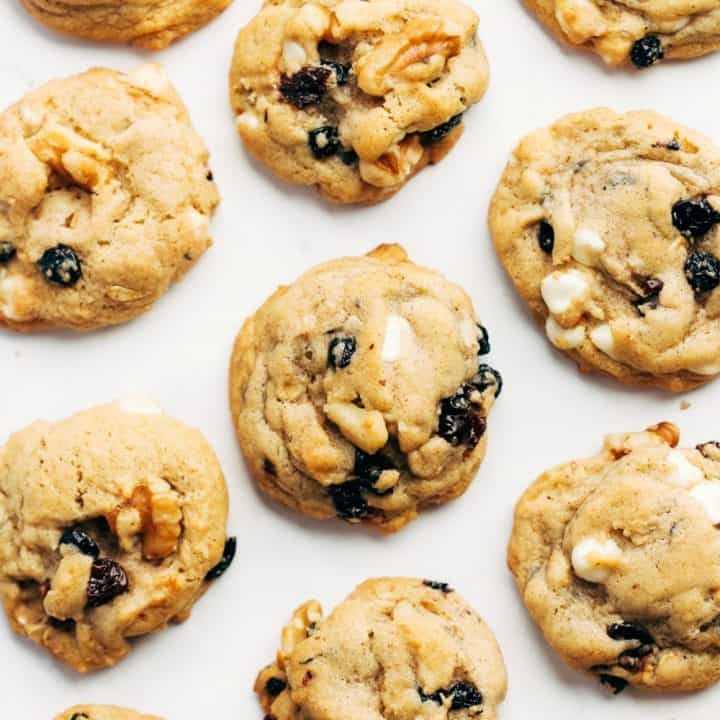 Granola Cookies are perfectly chewy and packed full of crunchy granola, dried fruit, nuts and white chocolate chips. Get creative by using your favorite mix-ins to make this Granola Cookie recipe your own!